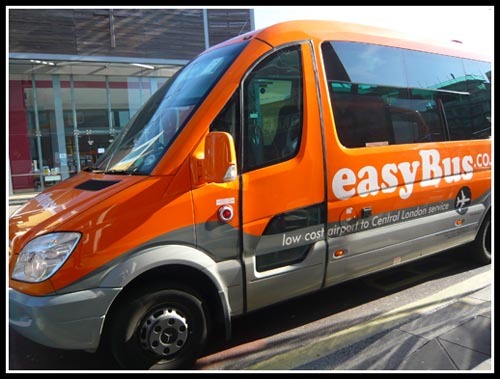 Having stayed at the incredibly small easyHotel, we proceeded to Fulham Broadway station for our pre-booked easyBus to Gatwick Airport where we will take the easyJet to Krakow, Poland. You can say we are taking the easy way out literally and also one of the cheapest way. The shuttle service cost us only £4.24 each – a bargain indeed provided you book early (we booked about 3 months in advance). There are buses every 30 minutes and it also serves the line from Stansted and Luton airports. Reservations can be made online at the easyBus website. The bus stops at Gatwick North Terminal. You have to take the internal 3-minute shuttle train to reach Gatwick South Terminal where easyJet flights are. No in-flight entertainment and no reclining of your seat. If you want food and drinks, you have to pay for it. Don’t worry, toilet usage onboard easyJet is free. Thankfully, it was only a 2-Hour flight. We stopped in the middle of the tarmac where a bus came to pick us up (i looked a bit weird in this picture; as if I am doing a helicopter spin because I was caught unaware by the picture :-p). The plane had barely stopped and refuelling and restocking had started on the other side of the plane – this could explain the average 25-minute turnaround time that most budget airlines achieved i.e. 25 minutes before they fly off to the next destination. While I was changing money, TY took a picture of the small Krakow Airport. 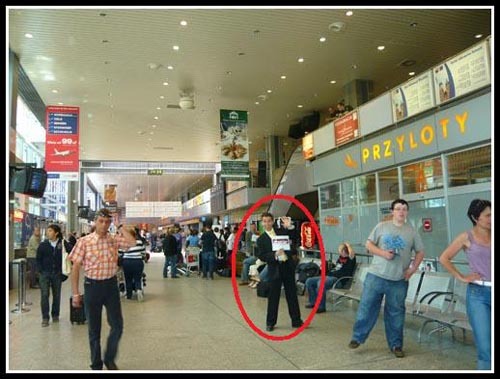 Note the guy who was supposed to be waiting for someone, posing for the picture (circled in red). We took over from Singapore only Euros and British Pounds and will be changing to local currencies at local money exchangers. 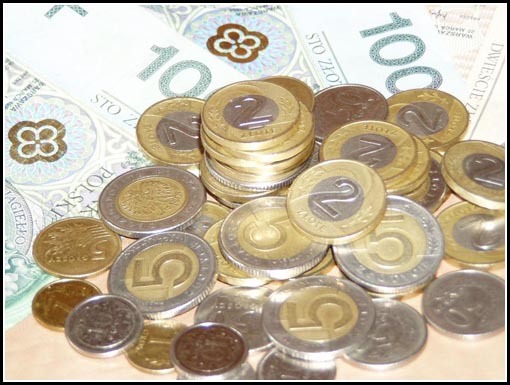 A tip on moneychanging – just change a sum of money sufficient to bring you to town and change the rest at the moneychanger near Carrefour in the Galeria Krakowska – a big shopping centre beside the train station. The rates are much better than the airport ones. Polish currency is called złoty and the approximate exchange rate for SGD : zł is about 1 : 2. There are many ways to reach Krakow city from the airport. The cheaper ways are by bus (about 3 zł) or train (about 8 zł). We took a cab (68 zł working out to 17 zł per pax) to our accommodation: Greg and Tom hostel. Used normal VISA credit card – that card might be specific to UK residents. I happened to arrived @ your blog while looking for info about Krakow. Interesting! and informative, particularly with the small details often overlook in the travel guides. Thanks a lot. I really appreciate your efforts in creating it. Hands up to your future escapades! Good luck! Thanks for the compliment. Hope that you’ve got the information you need for your Krakow trip and have fun exploring the city.